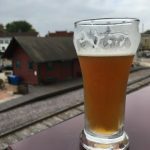 Oktoberish is an Oktoberfest-inspired ale. 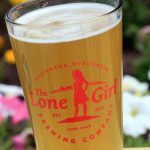 This seasonal beer made its debut at the 2016 Wauktoberfest Beer Tasting in Waunakee, WI on September 17, 2016 and made its way to several local festivals including Middleton Beer Festival, Isthmus OktoBEERfest, and Quivey’s Grove Beer Fest. Oktoberfest beers are made with a lager yeast and lagered for several months. Oktoberish is made with a clean ale yeast instead of a lager yeast but shares many of the characteristics of an Oktoberfest including rich German malts balanced with German hops. This beer has a deep orange color with bright clarity. First I’ve had that used ale yeast. Interesting.  ~Tim S.
This seasonal craft brew will be leaving the Lone Girl lineup near the end of October in order to make room for a Belgian Dubbel. 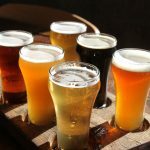 Grab a pint (or a growler) while you can!